On Wednesday, Southern California Edison sent the California Public Utilities Commission its wildfire mitigation plan, which proposes that the power company look over power lines, cut down trees in fire-prone areas and plan for power shutoffs. This is part of a $582 million plan to mitigate fires caused by the company’s infrastructure. The plan is a requirement resulting from Senate Bill 901. Pacific Gas & Electric submitted its own plan yesterday, along with San Diego Gas & Electric. 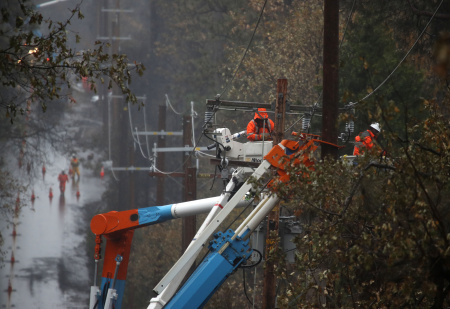 Today, we break down SoCal Edison and PG&E’s wildfire mitigation plans.